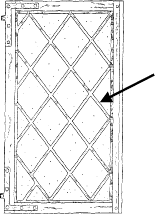 A slender rod of cast lead, with or without grooves, used in casements and stained-glass windows to hold the panes or pieces of glass together. When my brothers came, they liked to dig up the earth and make tunnels in it, I would fight them off to protect the earth. I'm very happy for Scott Merritt that after years of struggling with his sexuality, he came out of the closet. OCCUPATION: Golf resort dining room captain ON COMING OUT: I came out to my parents on my 42nd birthday. A little more than two years ago, Adam Nobel came out to himself and his family. With their warmth to support me, I came to understand that I was here to show love--discover new ways, every moment, to embrace those who don't understand and set an example of the joy that comes when one can be herself, without lies, without shame. Friends in Montana came out at work because people needed to know that those around them could be crucified on a fence. Support came from people she least expected to provide it, while those she thought would cheer turned their backs instead.